We have prepared couple of fantastic books for the company owners. Each of them might be priceless in the every day business activity. They are available in Polish after clicking the relevant link. "What in going on in consumer's mind?" Exclusive report on consumer behavior. It illustrates the consumer approach and prospects reality. It reveals how the decision making process goes and how you can influence it to fight your competition and keep your prices. 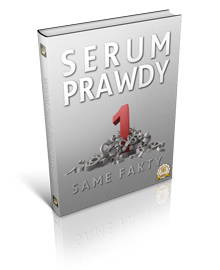 "Truth Serum" - Can marketing consultant support you efficiently to develop your company? Many insights about how to cooperate with a consultant, benefits of such co-operation and ideas how to use their recommendations in smart way. Extraordinary recipe on how to select consultant to help your company grow. Powitanie z potencjalnym klientem to ważny moment w życiu kazdej relacji.